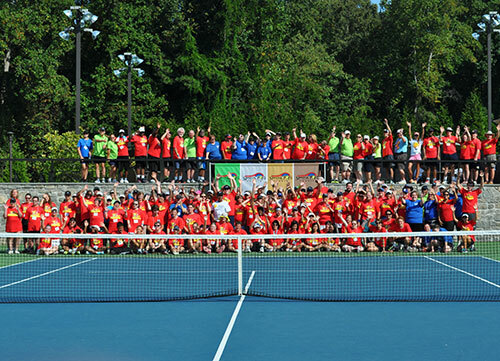 On behalf of the leadership of Special Pops Tennis, let me say THANK YOU to all the athletes, volunteers, families, spectators, and especially the sponsors that helped make the Fall Classic tournament more than just a tennis event. We experienced great weather, delicious meals, and bountiful beverages, generous clothing donations, awesome talent both on the tennis court and the dance floor! I could go on and on, but the truth is that everyone came willingly to get involved and make it a life experience for themselves and others. So I close with two final thoughts — It was indeed a life experience and secondly, we hope to see every one of you on the courts again in 2018!!!! Without each and every one of you, it will not be the same. Much love to all of you and keep watching our website and other media pages in the near future for other chances to get involved. Stay safe and healthy during the holiday season!